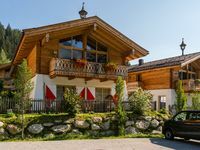 Property 2: Fantastic chalet right by the slopes and the St. Johann ski lift in Tyrol. Property 4: Luxurious holiday home in an idyllic location in the Glemm valley. Property 5: A detached chalet, close to the ski-run and near Zell am See and Kaprun. Property 8: Detached chalet, close to the piste and 600 m from the pleasant centre. Property 11: New, deluxe, detached chalet offering much privacy. 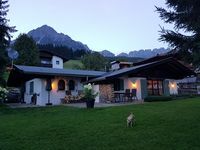 Property 12: Fantastic appartement in the middle of Austrian nature! Property 13: Superbly renovated, detached chalet with a sunny garden and lots of privacy. Chalet Mühlberg, Detached near ski areas Wildkogel and Kitzbühleralpen. Property 17: Chalet Mühlberg, Detached near ski areas Wildkogel and Kitzbühleralpen. Property 24: Detached chalet at walking distance from the centre of Saalbach - renovated! Property 25: Fantastic farmhouse in the middle of the mountains. Property 29: Detached chalet directly at the ski lift and the village of Ellmau! Property 37: A detached, luxury chalet very near Kirchberg. Great Location just 10-15 minutes drive from KitzSki Zillertal Area. Beautiful House with 3 bedrooms, 3 bathrooms ,1 wc and Sauna. Great Living room. Everything was very comfortable. Big Parking. We were in winter and it was very warm inside. I can recomend this house to everyone. One thing which was not mentioned, is that you need to bring your own toilet paper.When we arrived there was not even 1 roll.